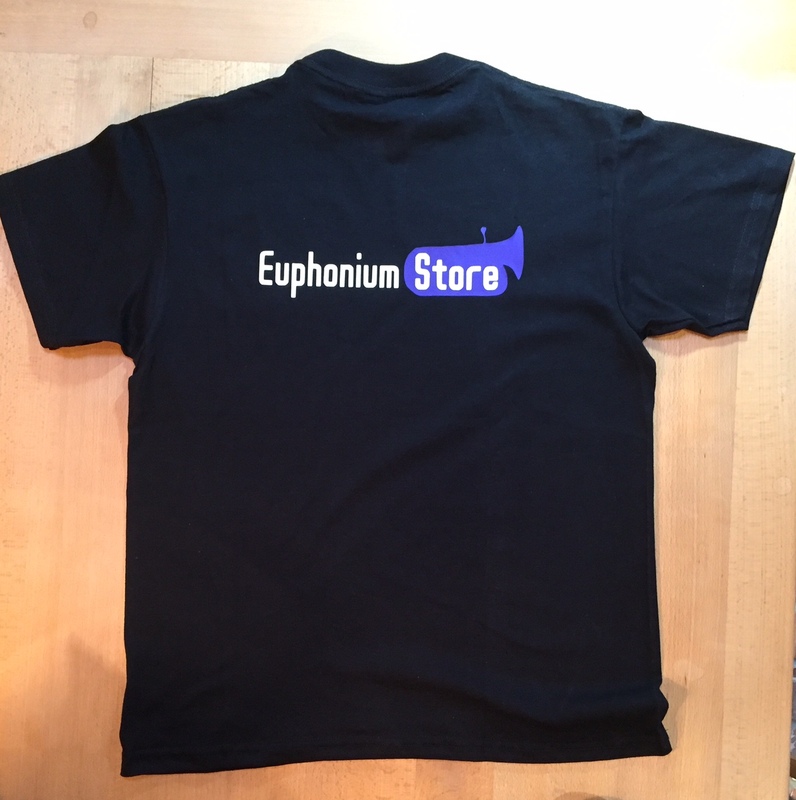 Just released at the Euphonium Store is this Special Limited Edition T-shirt in black with gold embossed Steven Mead logo, as well as the EuphoniumStore logo, Besson logo, and Buffet Crampon logo. 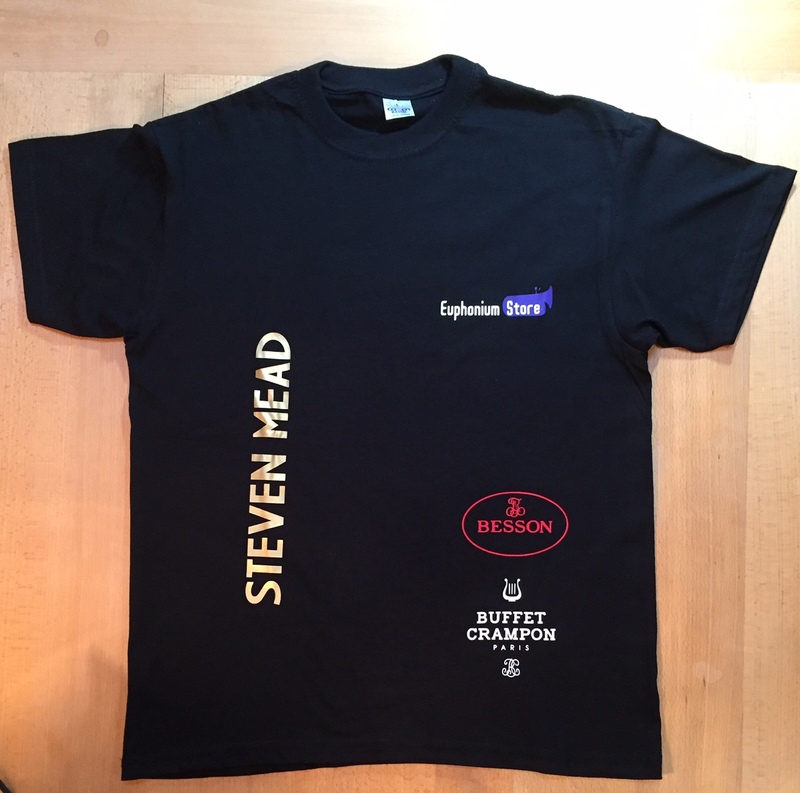 It's sure to be something of a collectors item, perhaps it's an ideal gift for a budding player, but we recommend quick purchase while stocks last !! 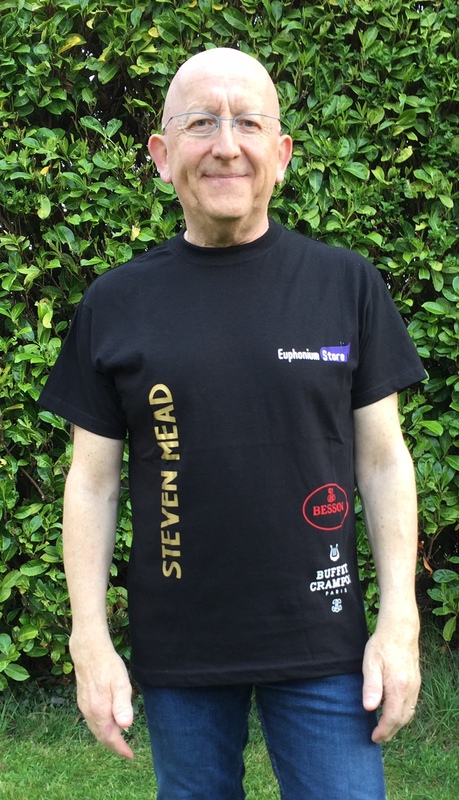 100% cotton, machine washable (30°), no tumble dry, and if necessary to iron, from the inside.